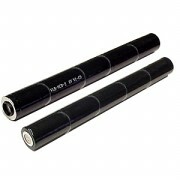 18650 : 3.7 volt 4000mAh rechargeable Li-ION battery for tactical flashlights, etc. 2.65" long, 0.7" diameter. Has protective PCB inside. Recharges with approved Li-ION 18650 chargers. CREE LED Tactical flashlight - 220 Lumens, includes battery. 4 modes ! CREE LED Tactical light - 220 Lumens, includes battery (1.5v AA alkaline). 4 MODES: Bright, Low, Strobe, Focusing. Size: 3.5" long, 1" dia. (92mm x 25mm). 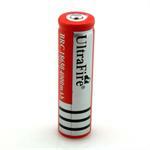 Can use with 1 Alkaline cell, or 1 Lithium 14500 cell for more power. 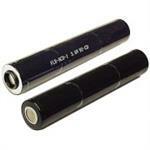 FLB-NCD-1: 3.6 volt 1600mAh Rechargeable Ni-Cd Battery Stick for flashlights. Fits the following models: Stinger, Stinger HP, Stinger XT, Polystinger, Pelican M9, Maglite 75175, etc. Replaces 75175. 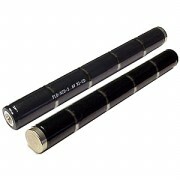 FLB-NCD-2 : 6.0 volt 1600mAh Rechargeable Ni-Cd Battery Stick for flashlights. Fits the following models: Super Stinger, Ultra Stinger, SL20XP LED, Streamlight 77175, Maglite 9926J, Maglite 77175, etc. FLB-LIN-8: 3.75v 2200mAh Li-ION battery for Streamlight Strion, Junior Luxeon, Inova T4-BO, 74000, 74001, 74002, 74004, 74011, 74012, 74013, 74021, 74022, 74023, 74031, 74032, 74033, 74175, 74201, 74202, 74303, 74304, 74311, 74312, 74313, 74321, etc. FLB-NCD-3: 6.0 volt 1600mAh Rechargeable Ni-Cd Battery for flashlights. Replaces & Fits the following models: Streamlight SL20XP, SL15X; Streamlight 405462100, 40070131, 25170, 201701, 15X1701; GE 40070131, 405462100. FLB-NCD-6 : 6.0 volt 2400mAh rechargeable Ni-Cd battery for SL20X-LED, SL-20XP-LED, 20175 etc. 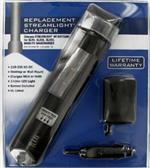 Length = approx 8.65", diameter approx 0.9"
SL-20H : 6.0 volt 3500mAh rechargeable Ni-MH battery for Streamlight & Maglight. Dimensions: 7.25" long x 1" diameter. Fits Streamlight SL-20, Streamlight SL-20S, Streamlight SL-20X, Streamlight 20170, Streamlight 20X1701, Streamlight 40070419, etc. FLB-NCD-5 : 4.8 volt 1800mAh Ni-Cd rechargeable battery for SL-90X, Survivor Division II Battery 90338, 90041, 90042, 90043, 90044, 90062, 90064, 90241, 90242, 90243, 90244, 90262, 90264, etc.